Thu., April 5, 2018, 12:41 p.m. Cost: $45-$90. Tickets available at the box office, by calling (509) 624-1200 or through www.ticketswest.com. After a hiatus of more than two years, comedian Dennis Miller kicked off 2018 by returning to Twitter. Save for a 2016 tweet sharing an article from CNN (“First on CNN: Cheney says he’ll support Trump”), Miller’s first tweet back announced the first episode of “Red Circle Sports,” his sports podcast through PodcastOne. Miller returned to Twitter because he realized it’s a good place to try out new jokes and promote tour dates and other projects. When testing jokes online, Miller can usually tell right away, after seeing a joke in print and hearing it in his own voice, if he has a winner on his hands. But he also looks at the number of likes a tweet gets to see if he’s struck a nerve with his audience. Miller has found that the jokes that do well on Twitter tend to also be popular during his live sets. He plans to try out the “nice welcome” joke during his performance at the Martin Woldson Theater at the Fox on Friday and said he bets it will do well. Social media, including how hysterical he finds the concept of hashtags, will be a big part of Miller’s next special, which he plans to film in June. Miller said only about one-third of the special’s material will be topical humor. 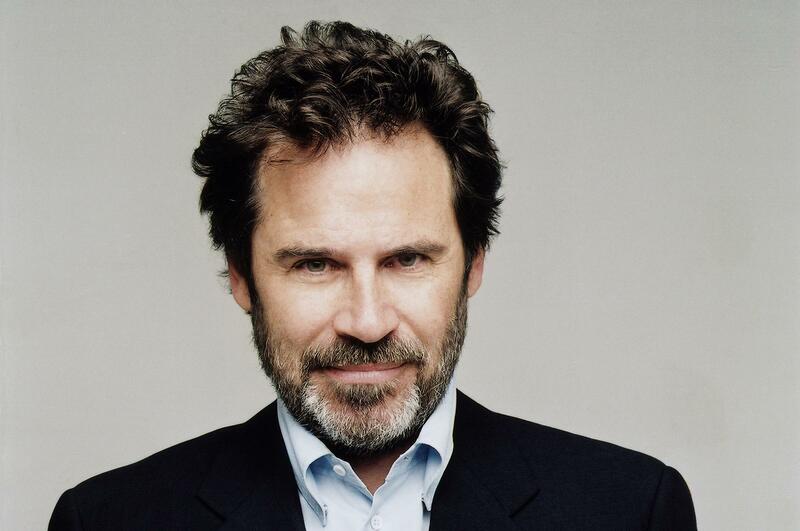 The former “Saturday Night Live” cast member and host of “Weekend Update,” “The Dennis Miller Show” and “Dennis Miller Live” knows he can’t completely step away from topical material, but he’d rather people simply watch the special and say it was funny, not turn audiences into the Hatfields and McCoys. “I think a nice mix would be two-thirds get some laughs, one-third get laughs but about topical stuff and topical stuff includes politics,” he said. Sports might also feature in the non-political two-thirds, as Miller has released an episode of “Red Circle Sports” about once a week since early January. The podcast came about during a lunch with old friend Norm Pattiz, the head of PodcastOne. The morning he spoke with the Spokesman, Miller, along with the entire city of Montecito, was preparing for a mandatory evacuation that afternoon after mudslides and fires damaged the area. He didn’t seem too worried about the mandatory evacuation, but even still Miller, whose last performed in Spokane with Bill O’Reilly in 2013, joked about getting a flight up north in wake of the evacuations. Published: April 5, 2018, 12:41 p.m.